Alien Conquest is Here and in Stores! If you haven’t been to your local LEGO store lately, the Alien Conquest sets are available, at least in Texas. Jason has picked up one of the smaller sets, the 7049 Alien Striker (Brickset) and I’m looking at a few mid-range. Alien Conquest themed MOCs have started appearing, such as this one by PandoraNuker (flickr). 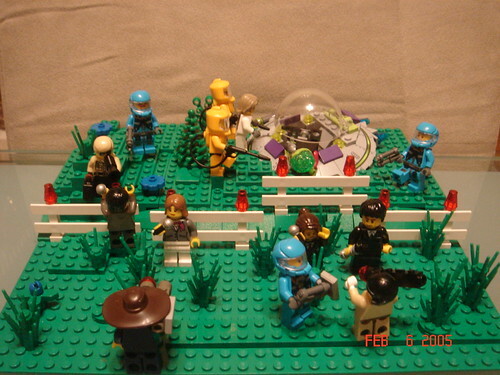 I love the use of some of the Hazmat minifigures from the last minifig series. I’m changing my mind about the Alien Conquest series, the more I see it in the stores.